We all love a bit of styled decor eye candy to feast our eyes upon and draw inspiration from. 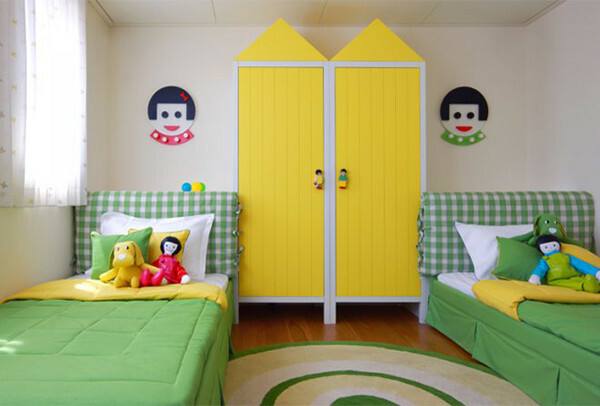 Click on through to see the gorgeous rooms created by the ever talented Sarit Shani Hay, interior designer and master of amazing kids spaces. 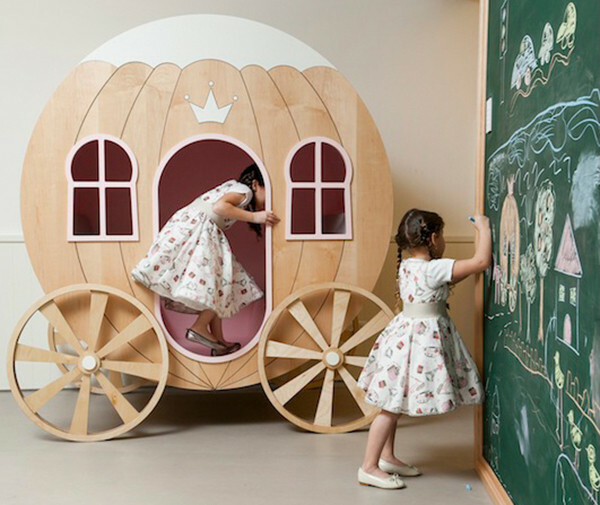 Based in Tel Aviv, Sarit Shani Hay is extraordinary in her talent of designing playful and enchanting living spaces for babies, toddlers, teens and adults – and she has these stunning images for us to admire. From soft and serene to bold and beautiful, Sarit Shani Hay can do it all – even Lego inspired furniture! Hands down the best play kitchen I ever did see. 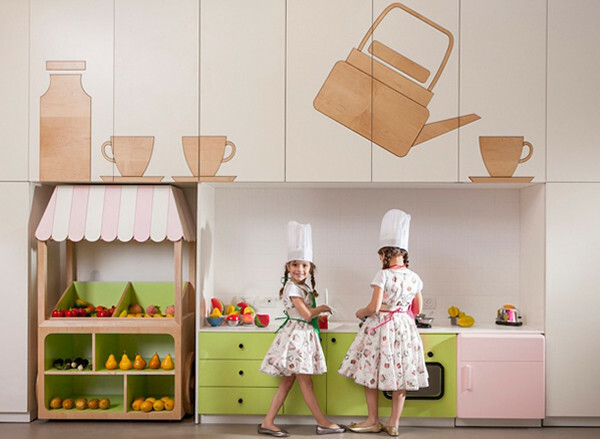 Forget the toddlers and budding mini masterchefs, I’d like this galley kitchen for myself. I adore this shared bedroom and its sunny disposition highlighted with citrus toned furniture and soft furnishings. 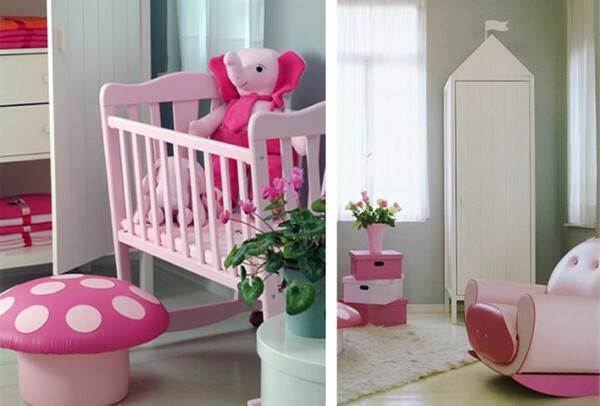 Nurseries are also on the receiving end of Sarit Shani Hay’s wonderful design wand as pictured here, a beautiful space fit for a princess with pretty pops of different shades of pink. 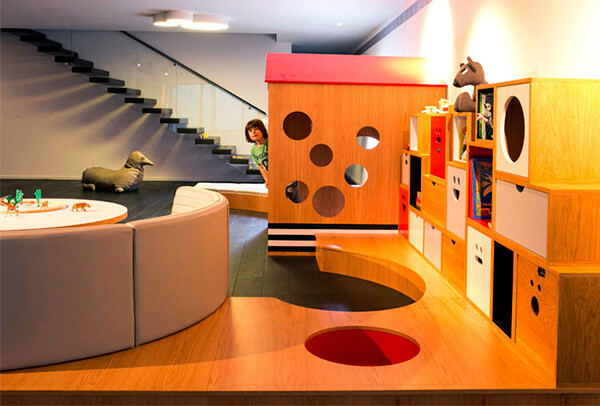 And for a play space that practically begs to be played with, there is this magnificent space (pictured top of post also). Cubby house? Tick. Fun storage? Tick. The funkiest of round couches? Absolutely. We take our hats of to you Sarit Shani Hay, you clearly know what kids (and parents) love!